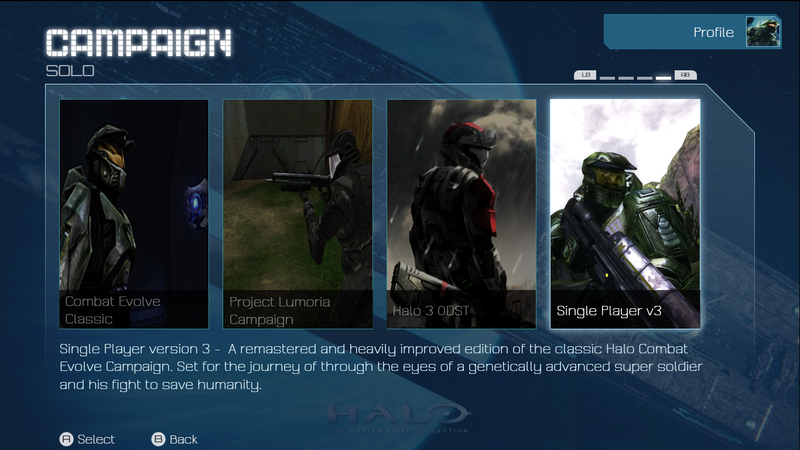 »Forums Index »Halo Custom Edition (Bungie/Gearbox) »Halo CE General Discussion »Universal UI Update? Hello HMF. I am back once again to explore this awesome place. 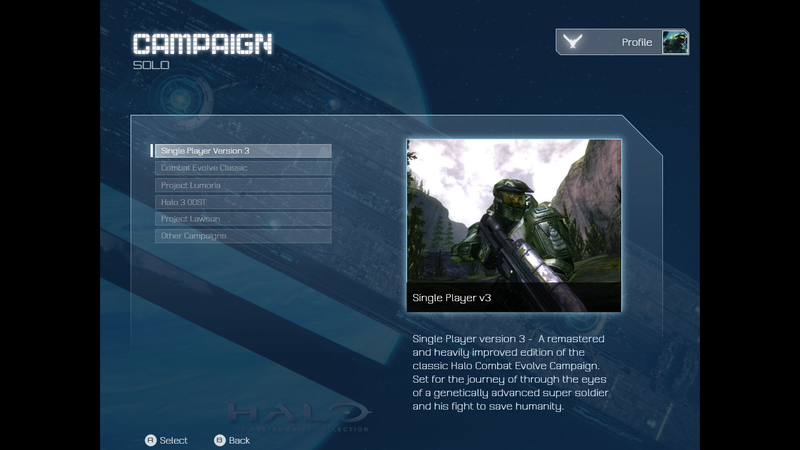 I really liked the idea of the Universal UI and being so single player campaign friendly especially with other campaigns but I know there are a bunch of awesome maps out there and I was wondering if anyone would know if the creator would be willing to update it some what? Thank you and have a good day everybody. Alright here you are in categorical order :D.
I was also wondering a couple of things. an all encompassing map pack containing them all? You don't have to. Just a thought. the Universal UI download? Again, just a thought. I would love to help contribute more. I like helping :D. Especially when it comes to Halo. If you even need story ideas, I'll be happy to work on those too. I'm not sure why you are suggesting multiplayer maps for an UI, it's not really possible to add them and even if it was possible it would be completely pointless since you can see all custom multiplayer maps in the server list anyway. SOI should rename his campaign and have a spot on the UI imo. I just renamed his maps to SOI_A10 and such and wanted to modify the UI to add the slots myself but I have no idea what I'm doing with HEK. LOL did I mis-spell campaign? speaking of Takedown, in the intro game where you get shot is it supposed to just stop there? whenever it reaches that point the scripts just stop and I have to quit it. You mean the part where you get shot and die? Yes. That's it. ODSTC1 to C7 to my knowledge were never made to completion. It might not be a good idea to have incomplete works as a part of the UUI. ODST_C6 was never made/leaked. Plus the order the maps continue off of each other are different than you would think (finishing odst_c2 loads odst_c5, finishing odst_c5 loads odst_c3, finishing odst_c3 fades to white with esc still working, odst_c4 need to be loaded manually and when finished loads odst_c2, odst_c7 has to be loaded manually and fades to white with esc still working). The Great Infestation is already in the UI (NP team section). Also deathcube is actually a firefight map. Finally I wouldn't bother putting Senti, Operation Blackwater, and Operation Exodus on the UI at all, as they are not only small modified versions of existing maps with no endings, but I feel that there are just better existing multiplayer w/ ai maps out there. All of Halonimator's maps released after planet_flood_a (except Planet Flood Egypt) have the default difficulty set to impossible/legendary when loaded through consol before a difficulty is selected. Easy seems to work as Normal difficulty now. Halonimator told me Heroic is untested so he may need to go into further detail on how his maps would work with the Universal UI. planet_flood_b by Halonimator's ending forces you to use consol / close Halo. whomps_fortress by Halonimator has NO ending. If he has a campaign of his own, I would love to see that as well! That would be some good exposure for him I think. LOL did I mis-spell campaign? I just noticed something with Jobalisk's maps; when they end they go to ui.map, but you can't do anything (no menu just music and the background). I'm not sure if this is an error on Jobalisk's part or the Universal UI. OSS was never 100% finished at any point. I was running late to give it to my friend for her birthday so i had to just bite the bullet and hand it off. The ending is supposed to be you planting C12 charges on several covenant structures and then flying off in a pelican before they detonate. In the additional content i released, you'll see the script has that section there but commented out. If you want to decompile it and try to complete it for me, by all means. can confirm its my fault, I never worked out how to reset the UI after you load the map at the end of a mission, any pointers for the future anyone? any pointers for the future anyone? Most modders could instead of using the "map_name command use a quit to main menu command" according to Jazz. thank you. I'm not going to reupload or anything cause I recently migrated computers and having to go through the enormous effort it would take to get all the tags out of the wintersmith.map file and get them working just isn't worth it. I'll keep this in mind for any more projects I have in the future though. I have finished my list of recommended maps (took almost a month of editting). I think Universal UI needs a note to hold down left for Retribution 1.1 on higher difficulties (if the player doesn't hold left and jump, they'll be stuck in an infinite cutscene-death-cutscene loop on Heroic & Legendary, which will prevent the player from quiting without consol/closing Halo CE). 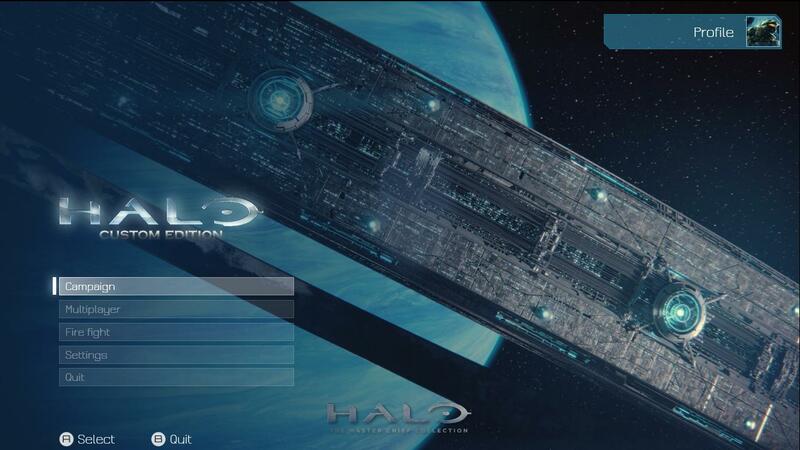 Edit: Lacedaemon / LAC_Chapter 1 which is already on the Universal UI has an ending that requires consol / closing halo ce to quit. After releasing the updated version, why not leave a little 'how to' note and or assets to allow all users to add whatever extra maps they come across in the future that aren't included with the update? If guerilla makes mention of a preview image tag and a map_description tag, wouldn't it be possible to get tool to compile those and have the UI map take advantage of it? EDIT: So that these considerations aren't necessary in the future? That's pretty sick... I like it... Though I do think his 'Fire Fight' should be changed to 'Firefight' as its displayed in traditional Halo menus, otherwise I think that UI is looking sweet. So with permission, if I wanted to add my own campaign, multiplayer or firefight levels, how would I go about doing that? I know how to link pictures, descriptions etc. What tag or script do you need to alter for it to display other levels? Someone needs to teach this guy basic English grammar. No not your grammar, the grammar in the UI pics, its terrible. Any progress on this UI by the way, I kinda wanna get a new one. Bump... So, any new Universal UI coming soonish or not, also, whens the next HMU? Time: Thu April 25, 2019 3:04 AM 187 ms.